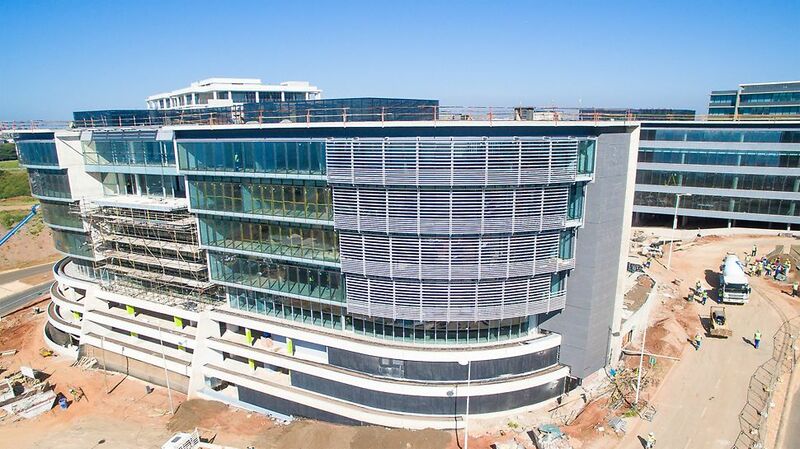 This development comprises the corporate ofﬁces of Growthpoint Properties and Illovo Sugar respectively. 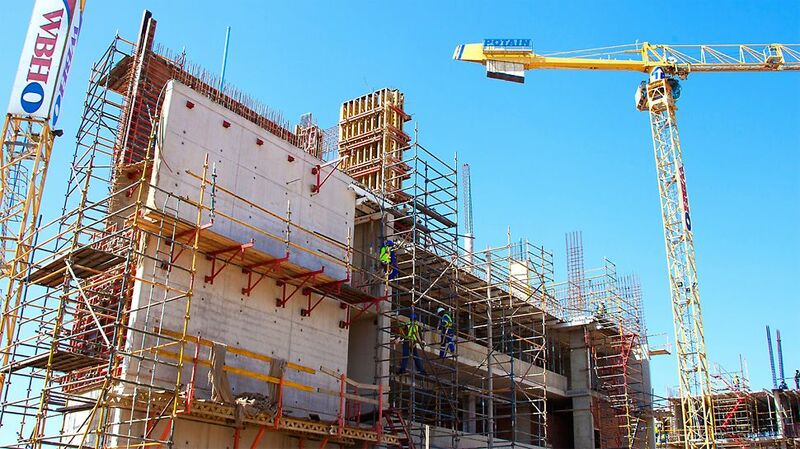 The estimated project cost was R232 Million, spanning over 16 months. Four levels of shared basement parking (21 000 m2) was required, stepping in at every level as the building goes up. This leads to two independent ﬁve-storey towers which cantilever outward, terraced in both directions moving upwards. Exposed concrete walls are a key architectural feature of the project. 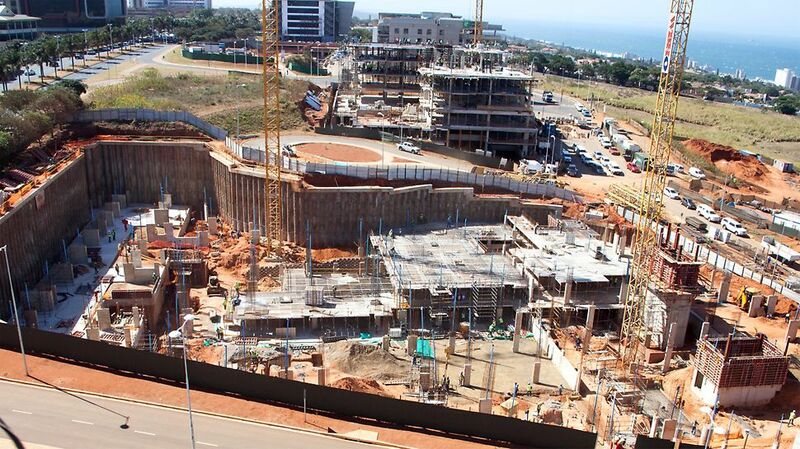 Excellent ﬁnishes were achieved and the building is a prominent land mark on the Umhlanga Ridge. The quality of the architectural off-shutter walls could only be achieved with PERI VARIO. This was a technically challenging project, but completely rewarding when seeing the finishes and achieving deadlines. 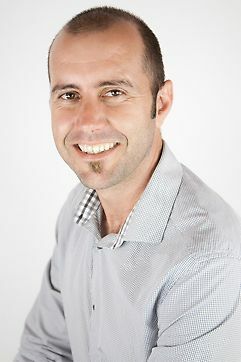 One of the biggest challenges was getting the large volumes of material to site when required. 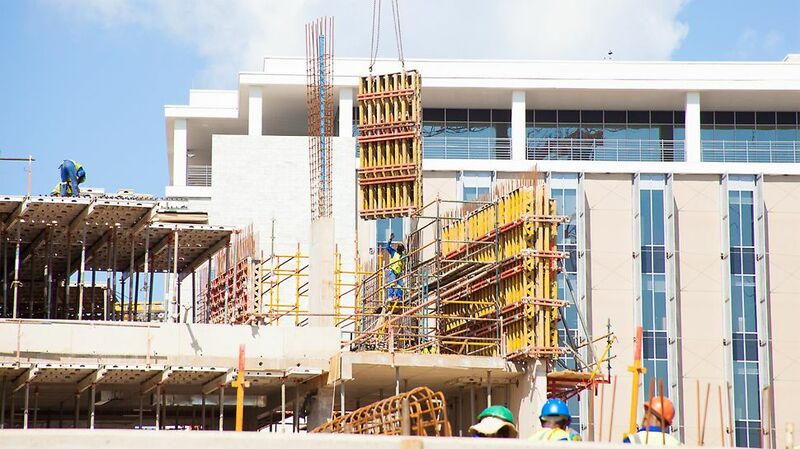 The very challenging 721 mm cantilevers were achieved using PERI MULTIPROP on the slabs going up. Using 6 500 m2 of PERI SKYDECK, an astonishing 10 009 m2 were cast in a mere 25 days, overcoming all types of challenges and bad weather. The two lift shafts were constructed using PERI TRIO with a CB 160 climbing system. 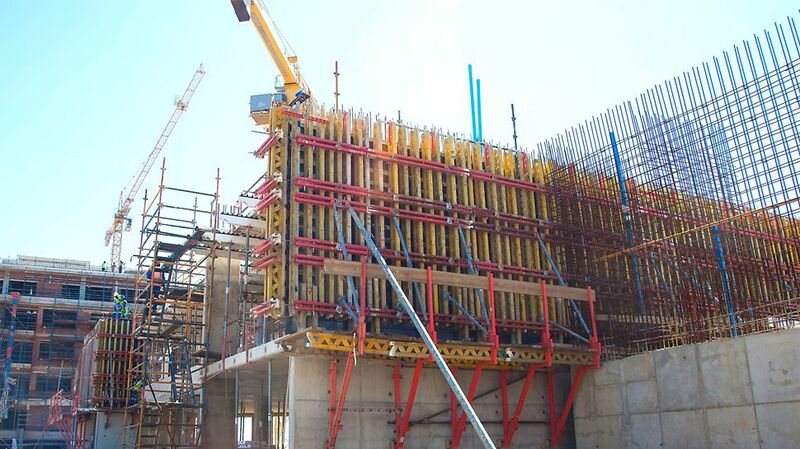 To achieve the required ﬁnish for these walls, WBHO selected VARIO formwork. 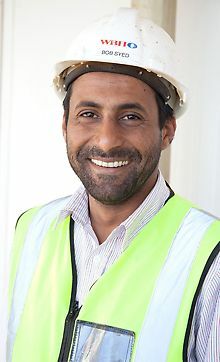 Roughly 1 000 m2 of VARIO was used on-site. There are 4 levels of shared super basement parking (21 000m2), which steps in at every level as the building goes up. This leads to the two independent 5 storey towers which then cantilever outward, terraced in both directions moving upwards. Using PERI MULTIPROP the very challenging 721 mm cantilevers were achieved on the slabs as they were going up.